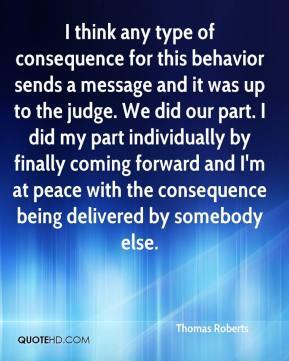 I think any type of consequence for this behavior sends a message and it was up to the judge. We did our part. I did my part individually by finally coming forward and I'm at peace with the consequence being delivered by somebody else. 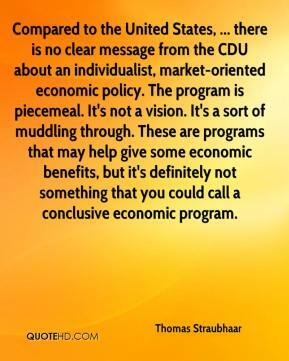 Compared to the United States, ... there is no clear message from the CDU about an individualist, market-oriented economic policy. 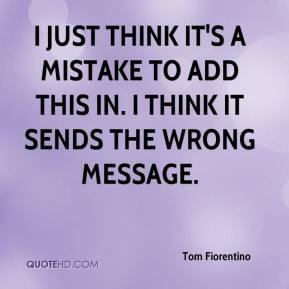 The program is piecemeal. It's not a vision. It's a sort of muddling through. These are programs that may help give some economic benefits, but it's definitely not something that you could call a conclusive economic program. 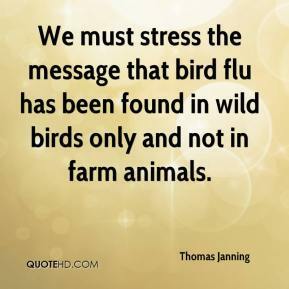 We must stress the message that bird flu has been found in wild birds only and not in farm animals. We're sending a message. 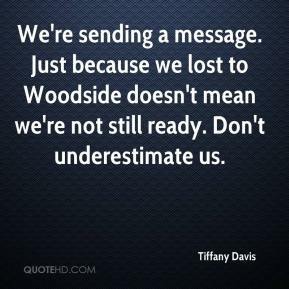 Just because we lost to Woodside doesn't mean we're not still ready. Don't underestimate us. 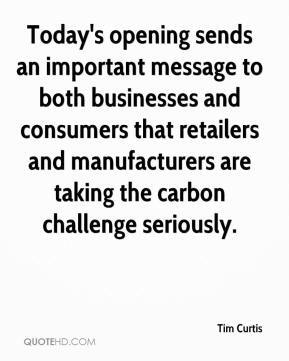 Today's opening sends an important message to both businesses and consumers that retailers and manufacturers are taking the carbon challenge seriously. I just think it's a mistake to add this in. I think it sends the wrong message. 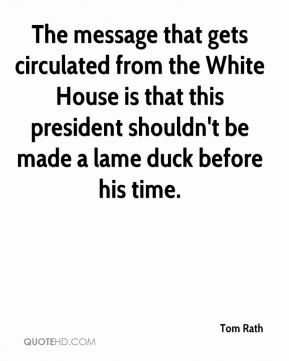 We will spend what it requires to get our message out. 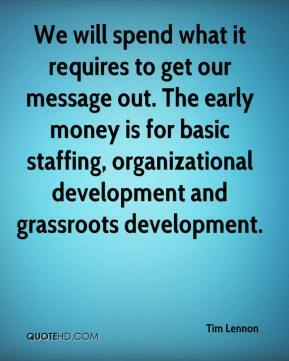 The early money is for basic staffing, organizational development and grassroots development. 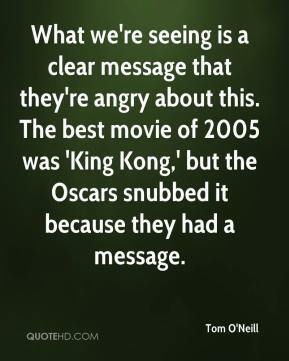 If what we are saying is true, it's the greatest message on the planet. 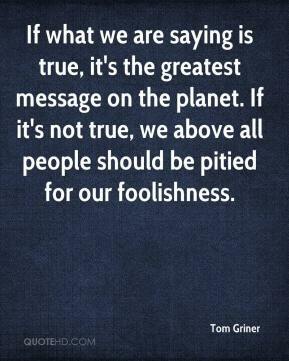 If it's not true, we above all people should be pitied for our foolishness. 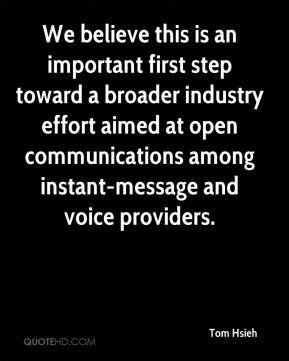 We believe this is an important first step toward a broader industry effort aimed at open communications among instant-message and voice providers. Gang graffiti is pretty plain in content. 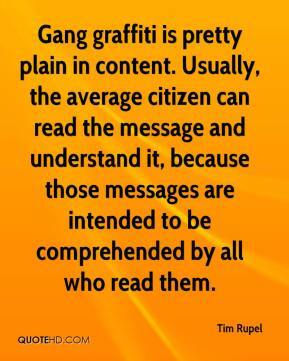 Usually, the average citizen can read the message and understand it, because those messages are intended to be comprehended by all who read them. 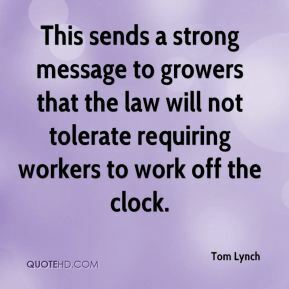 This sends a strong message to growers that the law will not tolerate requiring workers to work off the clock. 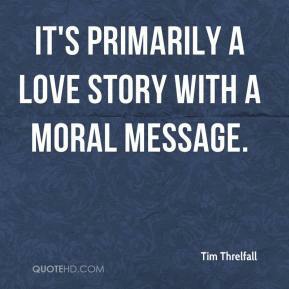 It's primarily a love story with a moral message. If there is a safety message to be echoed, this accident shows just how dangerous rural roads and highway can be. 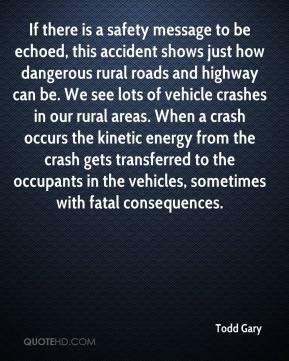 We see lots of vehicle crashes in our rural areas. When a crash occurs the kinetic energy from the crash gets transferred to the occupants in the vehicles, sometimes with fatal consequences. 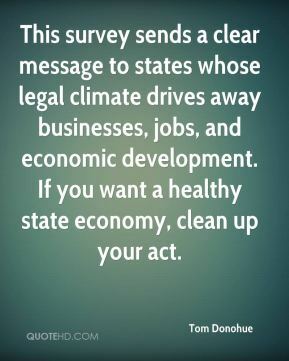 This survey sends a clear message to states whose legal climate drives away businesses, jobs, and economic development. If you want a healthy state economy, clean up your act. 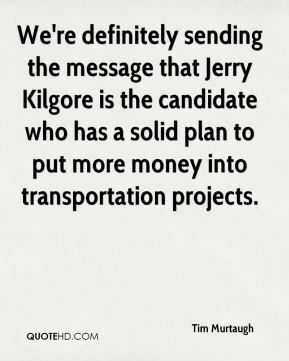 We're definitely sending the message that Jerry Kilgore is the candidate who has a solid plan to put more money into transportation projects. The message in Australia, Indonesia and New Zealand is that terrorism, of whatever sort, is a common problem we face worldwide today. That's why we have to have a worldwide solution to it. 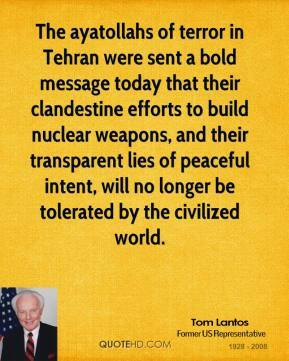 The ayatollahs of terror in Tehran were sent a bold message today that their clandestine efforts to build nuclear weapons, and their transparent lies of peaceful intent, will no longer be tolerated by the civilized world. 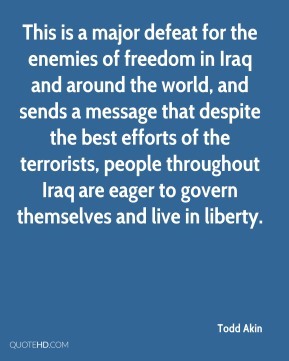 This is a major defeat for the enemies of freedom in Iraq and around the world, and sends a message that despite the best efforts of the terrorists, people throughout Iraq are eager to govern themselves and live in liberty. 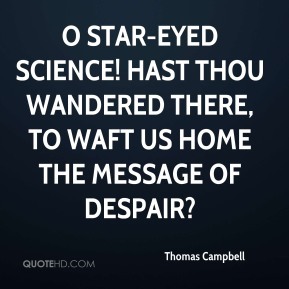 [Of course, that message seems to be falling on deaf ears with investors.] Everyone is building in a perfect world growth story, ... 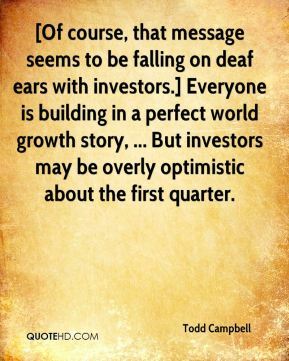 But investors may be overly optimistic about the first quarter. 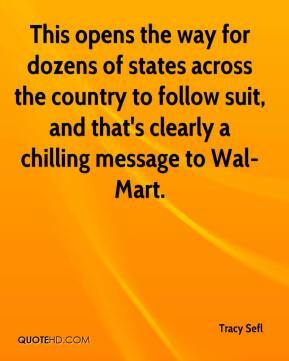 This opens the way for dozens of states across the country to follow suit, and that's clearly a chilling message to Wal-Mart. 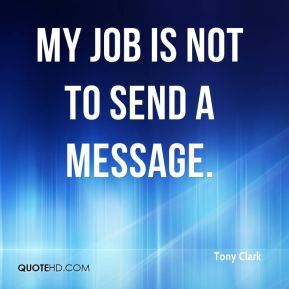 my job is not to send a message. I got a text message this morning but didn't think it was true. 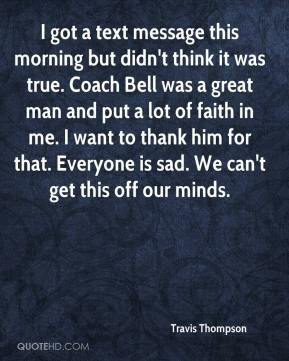 Coach Bell was a great man and put a lot of faith in me. I want to thank him for that. Everyone is sad. We can't get this off our minds.